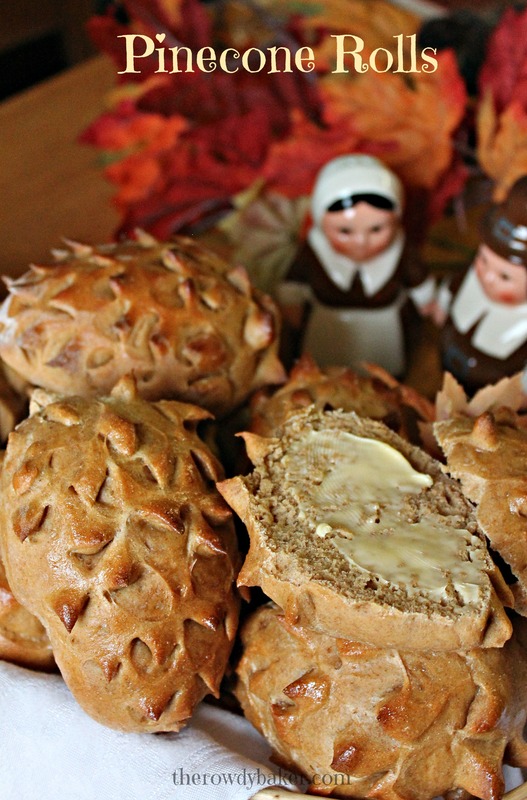 I just love to play with dough, and today’s creation was a batch of pinecone-shaped dinner rolls – just in time for Thanksgiving! Even with whole wheat flour in the recipe, the addition of buttermilk makes them very light and tender, and the molasses adds a hint of sweetness. They take a little longer than most rolls because you have to cut the petals (that sounds better than “scales”, right?) before baking. 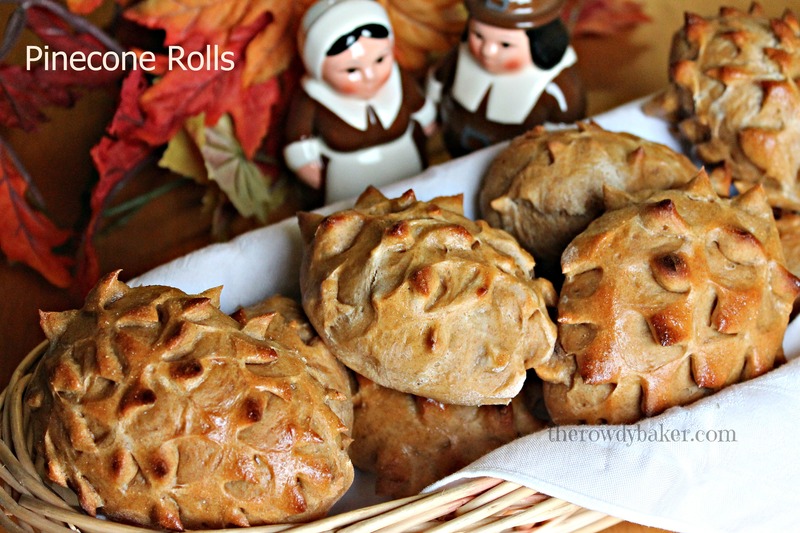 Make them ahead and freeze them, and then just reheat them in foil before serving dinner…OR, if there’s some family member who drives you nuts trying to help in the kitchen, hand them the scissors and bowl of dough. Evil but effective. Seriously, once you get the hang of it, you’ll be able to whip the rolls out pretty quickly. 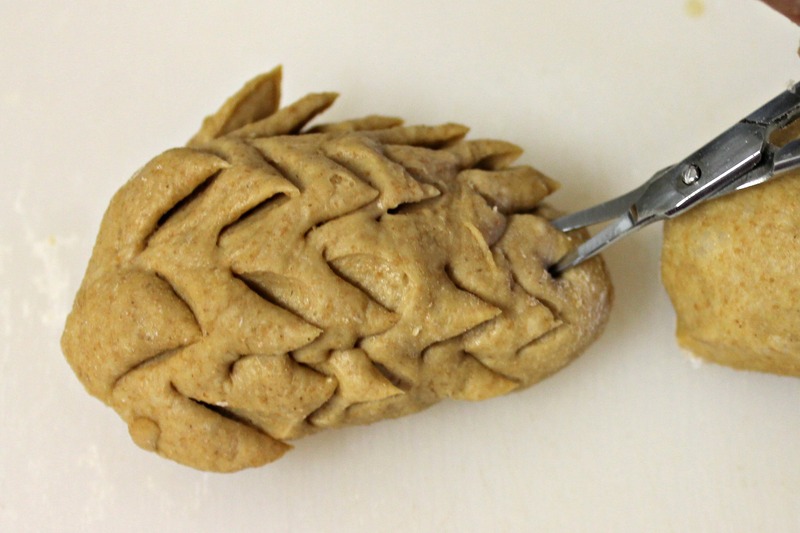 The easiest and fastest way I’ve found to make the cone shapes is to form the dough into balls first. I pull the sides up to the top several times (looks a little bit like a Chinese dumpling), flip it over, and then “scooch” it along the counter to create a smooth ball, then press and roll on one side to make a pointy cone shape. Bring the edges up, then flip and “scooch” it on a hard surface to form a ball. An inexpensive pair of cuticle scissors resides in my cake decorating tub for just this type of situation, and was perfect for the task. Start snipping at the base of the cone with wide cuts, and then make shorter, deeper cuts as you get to the pointed end. 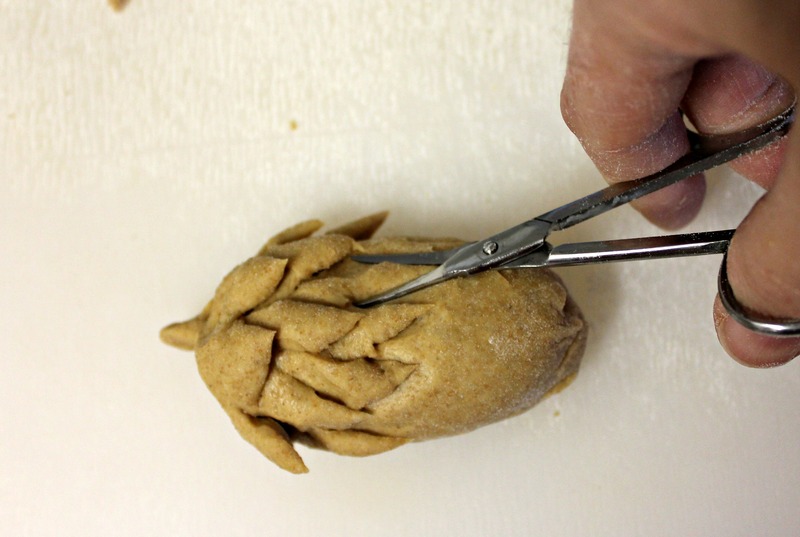 …and end with small snips. You’ll figure out what works best for you. I preferred cutting while the roll was flat, but you might want to hold it by the end and cut in the air. The recipe makes 24 rolls. I will warn you, though – they can be a little…er…pokey when you’re eating them. Think of it as a way of making people slow down and enjoy their food. It didn’t stop the guys around here from eating a half-dozen each, that’s for sure! In the microwave or in a pan on low heat, combine the butter and molasses together. Heat until butter is completely melted. Remove from heat. Beat the buttermilk and egg together, and add to the molasses mixture. Stir until well combined. With mixer on low (I start right out with my dough hook), slowly add the warm mixture to the yeast mixture. When combined, add the cocoa and bread flour. Beat on medium low for 2 minutes. Add 2 cups of the whole wheat flour and the salt, beating until the flour is incorporated. Gradually add as much of the remaining flour as needed to create a dough that is still a little sticky, but comes cleanly off the sides of the bowl. Knead by machine for 5 minutes, or 7 minutes by hand. Place dough in greased bowl and cover with a cloth. Allow to rise until double, about 1 hour. Separate dough into 24 equal pieces, approximately 2-1/2 ounces each. Roll each piece into a ball and then roll one end with your fingers to make a cone shape. With small sharp scissors, beginning at the base of the cone, snip "petals". You don't need to go all the way around...just the top that will show when the pinecone is laying on its side. Make larger snips around the bottom, smaller near the top, staggering the petals like bricks. 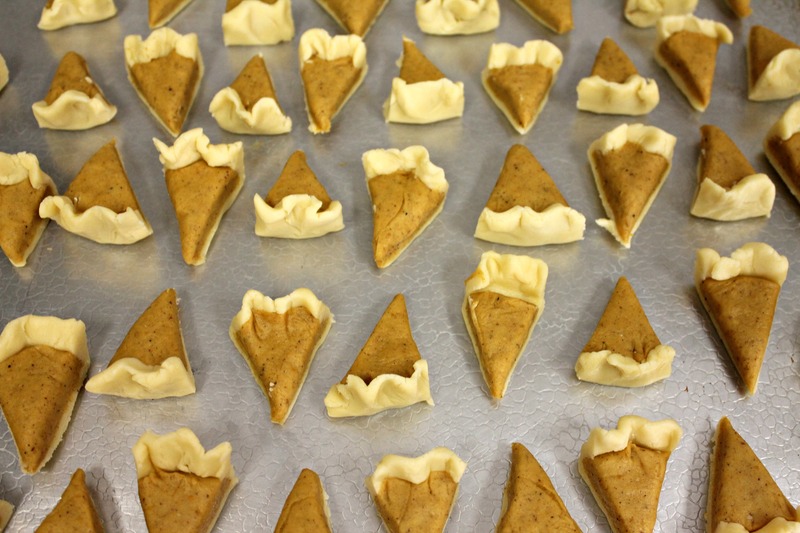 Place 12 on each cookie sheet and allow the cones to rise for 30 minutes. Bake for approximately 13-15 minutes, or until the rolls are golden brown. Set baking sheets on racks to cool for a few minutes before serving. Brush warm rolls with melted butter if desired. From my family to yours, best wishes for a warm and love-filled Thanksgiving! 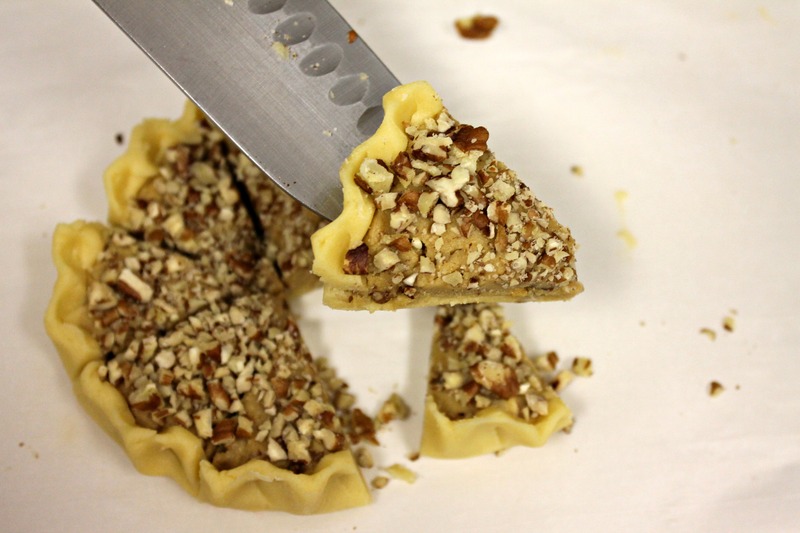 See these sweet little pecan pie slices? 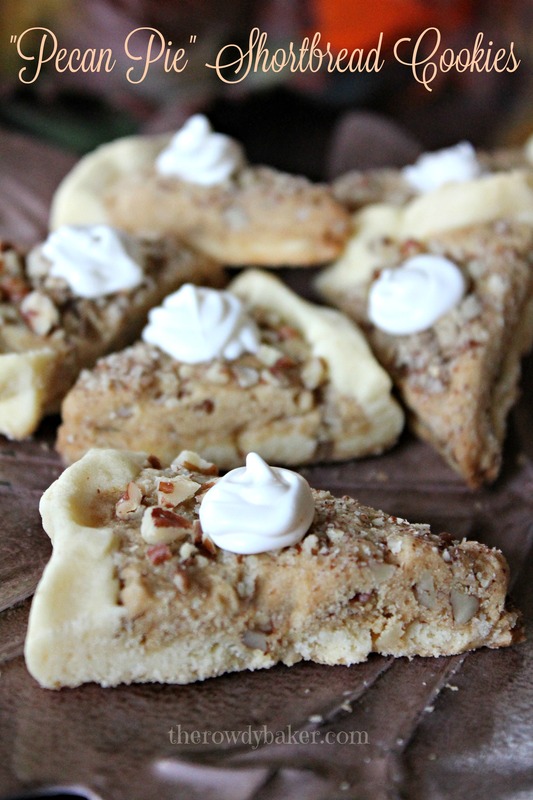 They’re actually shortbread cookies, but they pack a lot of pecan pie flavor into a two-bite treat! The “crust” is regular shortbread. 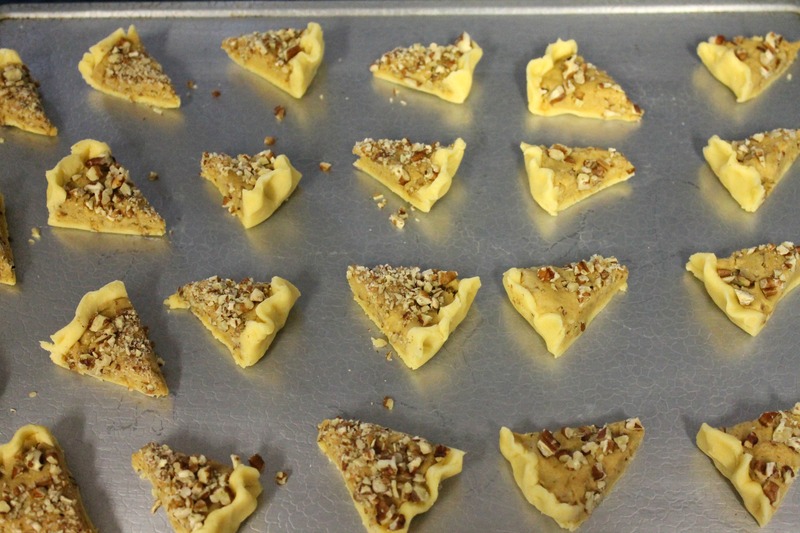 The “filling” is enhanced with toasted pecans, brown sugar, and molasses. For a cute touch, a little white chocolate is added to resemble whipped cream. These are incredibly addictive! 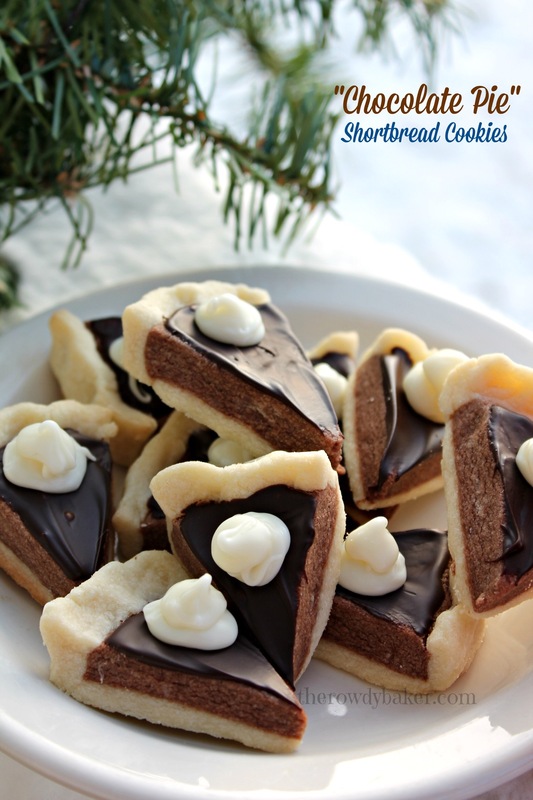 The recipe makes 48 small cookies, but you may want to double it and freeze some for later. Don’t forget to toast the pecans before you add them. It’s easy – just toss them in a skillet on medium low for about 5 minutes, stirring often, or microwave them, for 90 seconds on high, stirring every 30 seconds. It makes a huge flavor difference – it really does! Makes 48 petite cookies. If you have time, double the recipe; they'll go fast! In a large bowl, beat together the butter and powdered sugar until smooth and creamy. Add the egg yolk, vanilla, and salt. Mix well, scraping sides of bowl. Separate the dough in half. 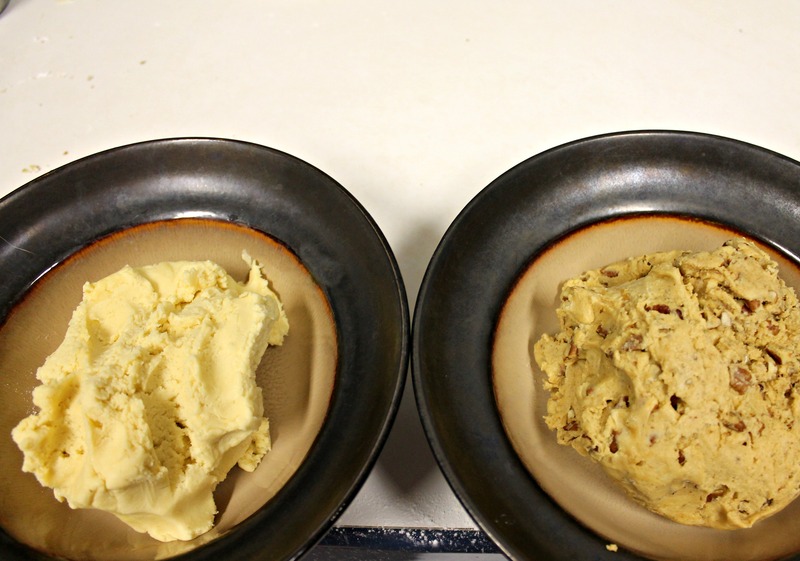 Remove ½ cup of dough from ONE half and add it to the other. 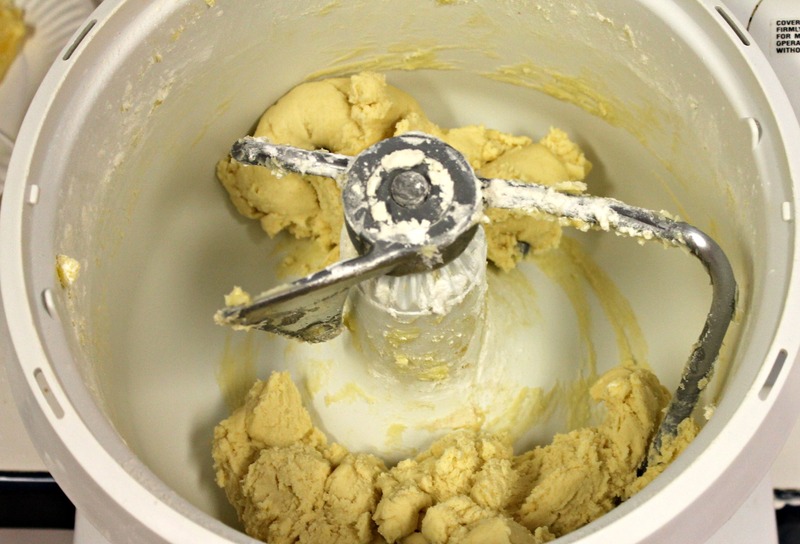 Set aside and cover the large piece of dough, and put the smaller piece back into the mixing bowl. To the dough in the mixing bowl, add 1 cup of the chopped pecans, 1 tablespoon flour, brown sugar, and molasses. Mix well. 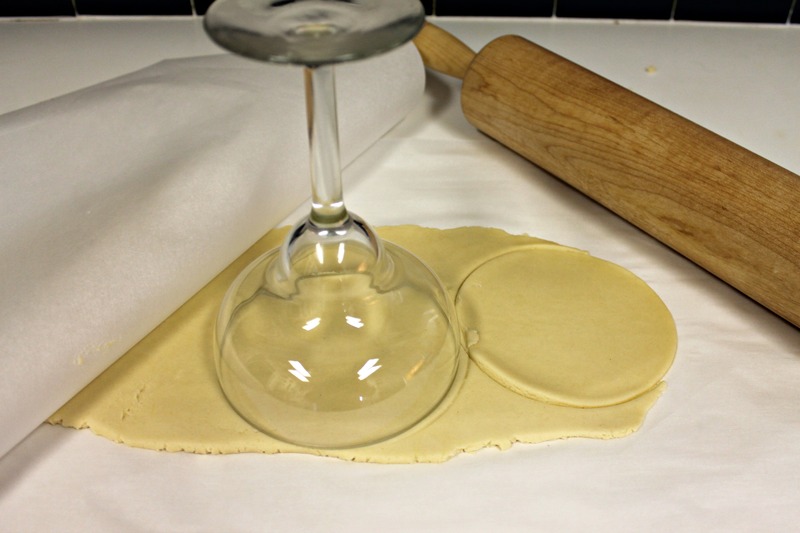 Roll the vanilla dough out between two large pieces of parchment paper, about ⅛-inch thick.and cut out 6 large circles – about 4-1/2 inches across – using a small bowl, sour cream container, or margarita glass! 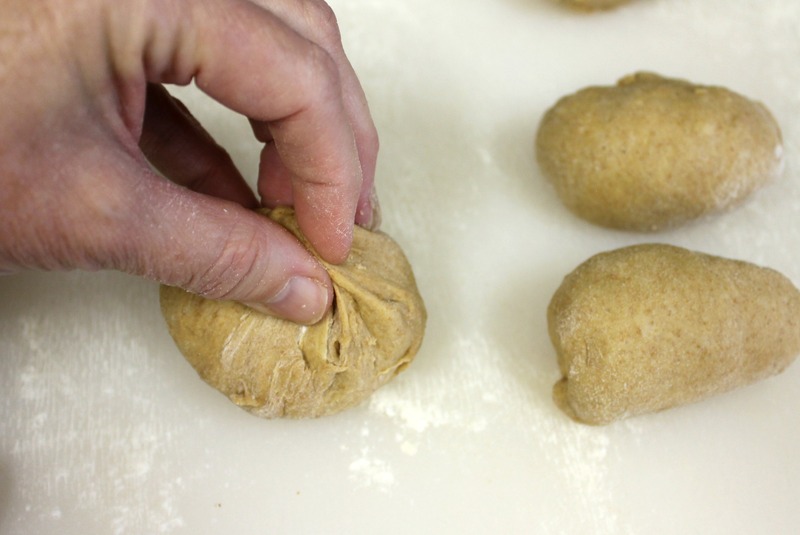 (Alternatively, you can divide dough into 6 balls and roll each individually between parchment.) Place them on a plate and keep them covered with plastic wrap. 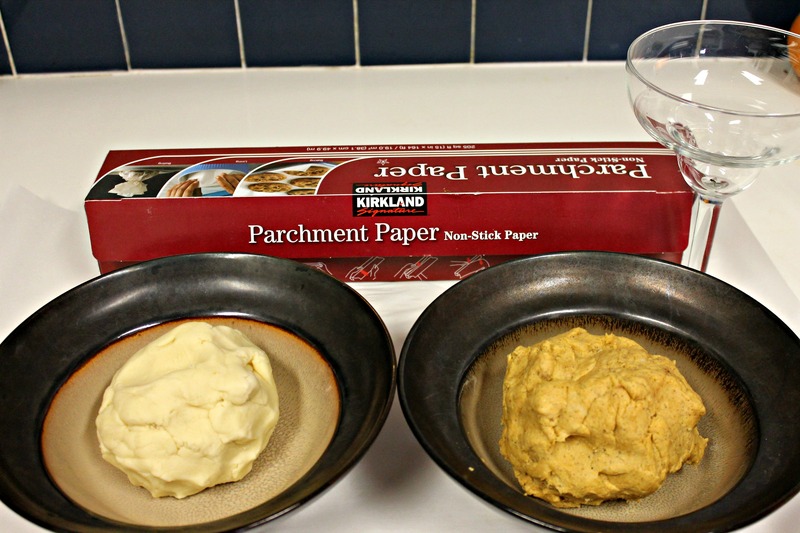 It’s fine to re-roll the dough as long as you’re rolling it between sheets of parchment. 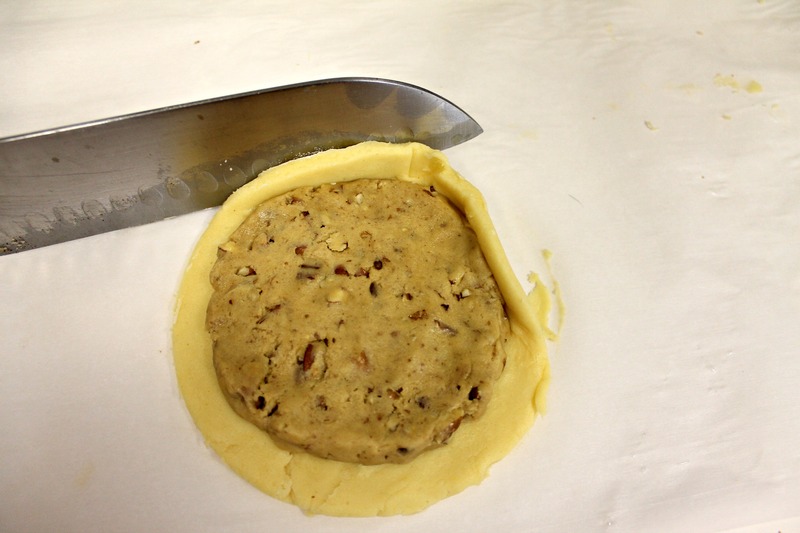 Divide the pecan dough into 6 balls, and flatten into approximately 3-inch circles. Working with one piece of each color at a time (keep the rest covered so it won’t dry out) center the pecan circle over the vanilla circle. There should be about ½-inch of vanilla showing around the pecan filling. Slowly bring the vanilla dough up the sides. A knife or spatula works very well for this. Don’t worry if it cracks around the bottom edge. This isn’t pie crust! Use your fingers to press and mold the dough (think Play Doh) until it’s fairly straight and even all the way around the top, Use your fingers to press firmly down on the "filling" while you bring the dough around it. The vanilla dough should stick up a little higher than the pecan dough. 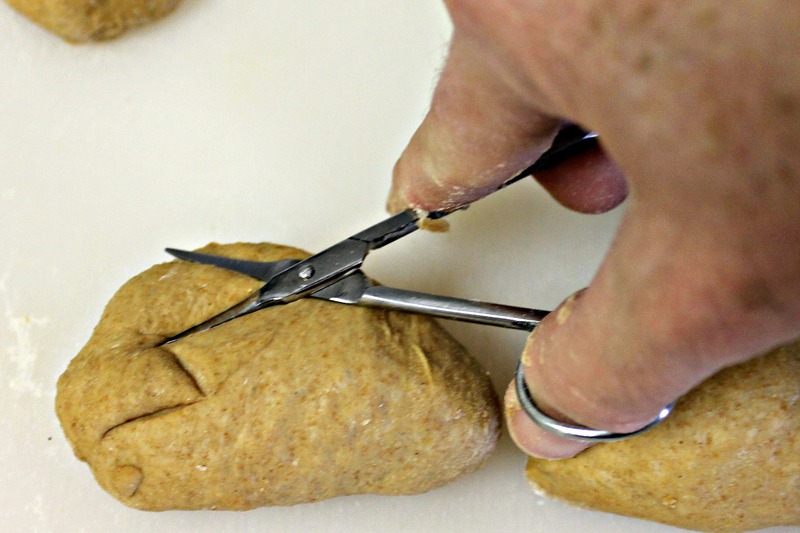 Crimp the dough all the way around, using the tips of your fingers. 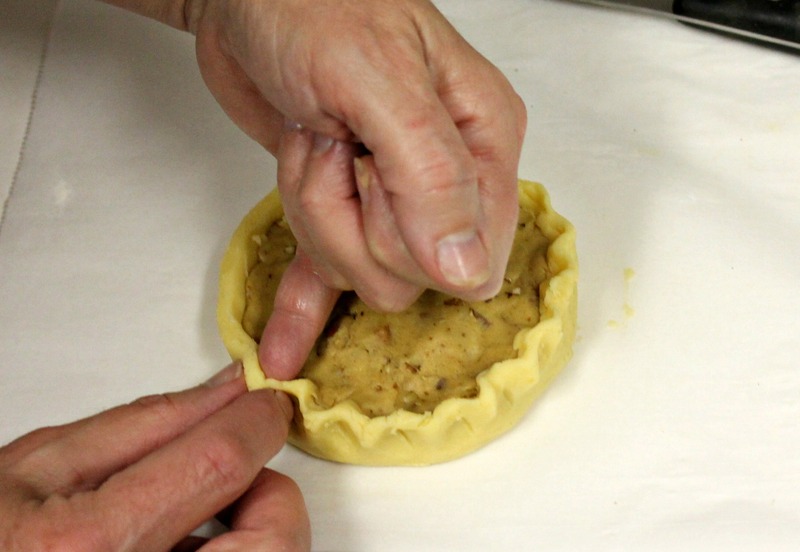 Don’t be afraid to press firmly along the sides as you go – this will keep the fluted edge from falling off as it bakes. 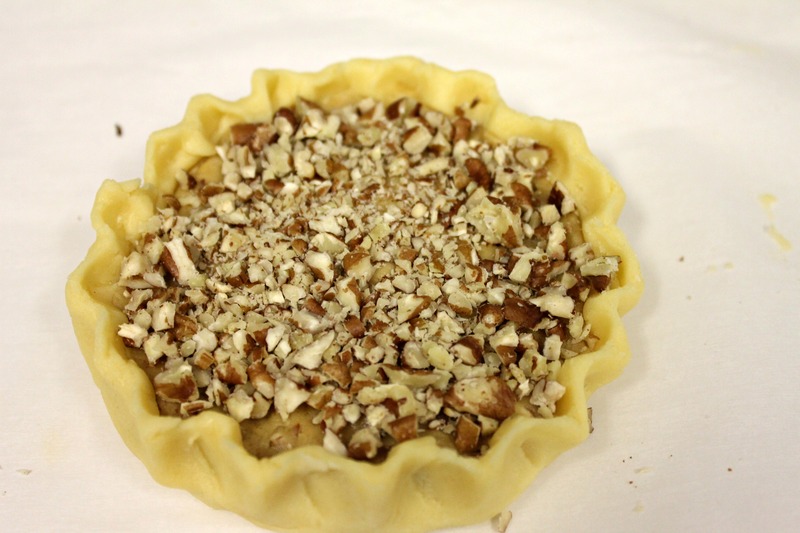 Sprinkle each "pie" with the remaining chopped pecans. 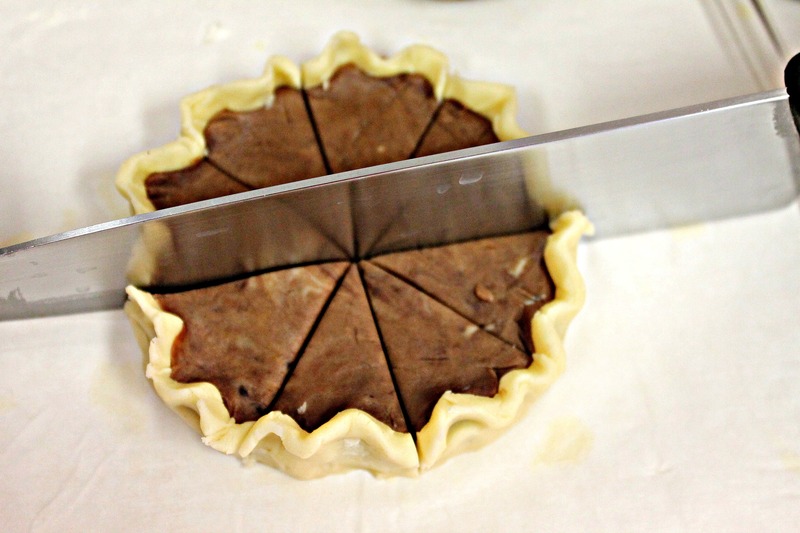 With a sharp knife, cut pie into 8 small wedges. Move to an ungreased cookie sheet, spaced at least ½-inch apart. Repeat until the baking sheet is full. The cookies can be quite close together; they don’t spread. Place pan in the freezer for 15 minutes or the refrigerator for 30 minutes. Bake for approximately 10 minutes, or until the bottoms are just turning light golden brown. Move to a rack to cool. Once cool, add a dollop of melted white chocolate to the top if desired. At first the mixture will look crumbly and seem dry, but if you keep mixing it will turn into this! “Crust” on the left, “Filling” on the right. 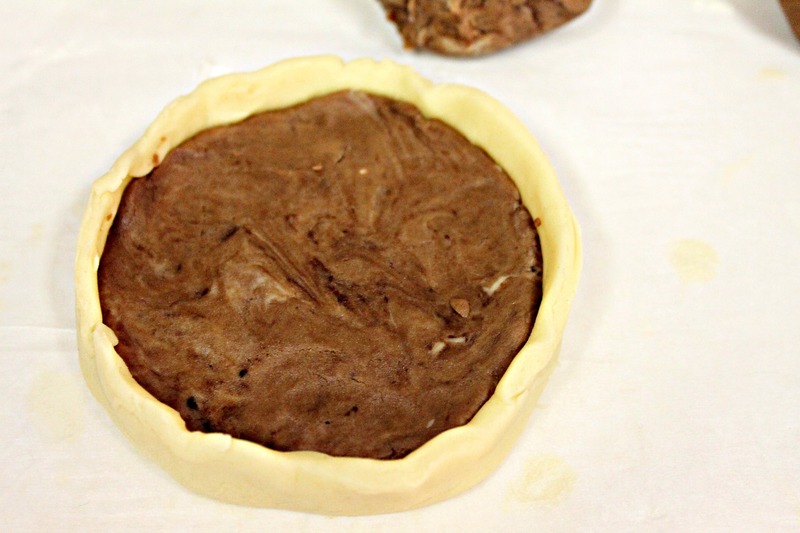 Use a knife or spatula to lift the vanilla dough around the filling. Press chopped pecans firmly on top. 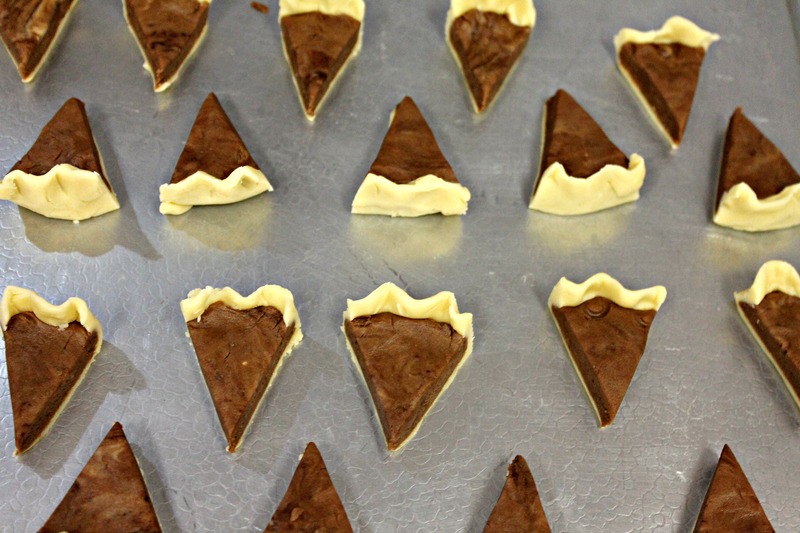 Place on baking sheet and pop them in the oven! I also tried this idea with other pie flavors. I tried to put them all into one blog, but the recipes differed just enough to make that impossible. 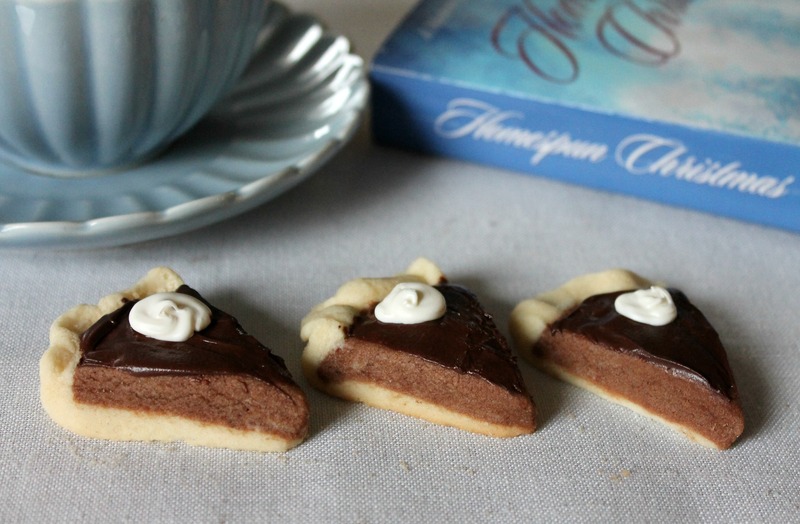 So…here’s the link for “Chocolate Pie” Shortbread cookies. and “Pumpkin Pie” Shortbread cookies. 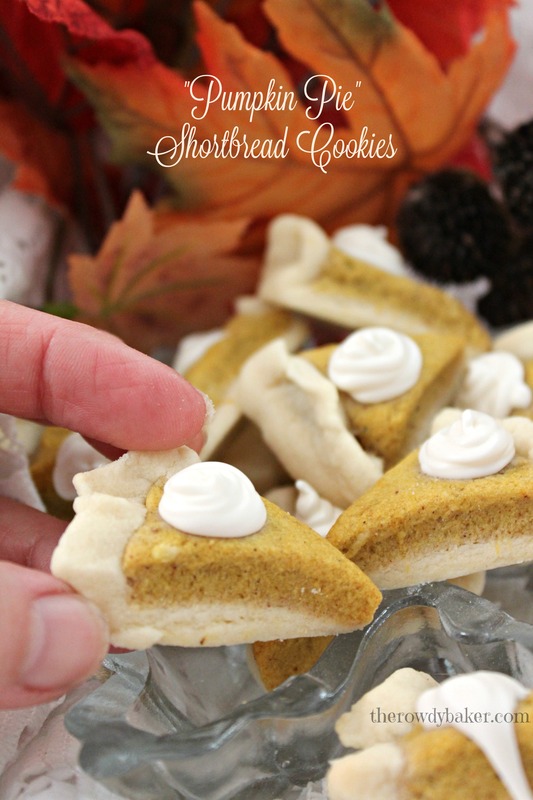 Tender shortbread cookies, made to look like tiny slices of pumpkin pie, make a perfect hostess gift for Thanksgiving – or just a fun treat to nibble on! 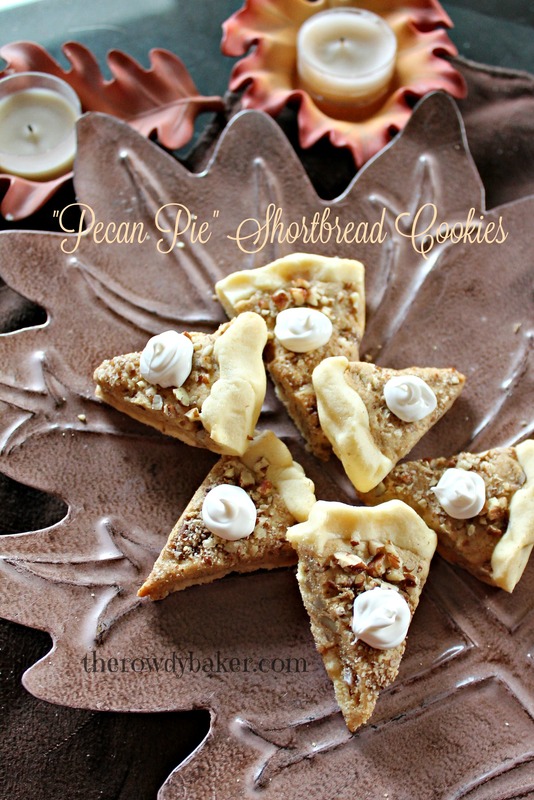 I’ve been obsessed with pie-cookies lately, and finally narrowed down my posts to three seasonal flavors: “Pecan Pie” Shortbread cookies. 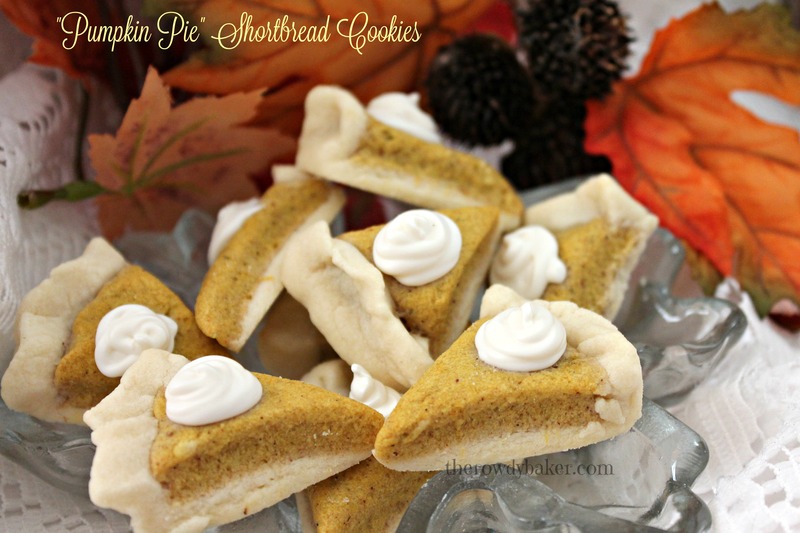 and “Chocolate Pie” Shortbread cookies., and these pretty Pumpkin Pie Shortbread Cookies. 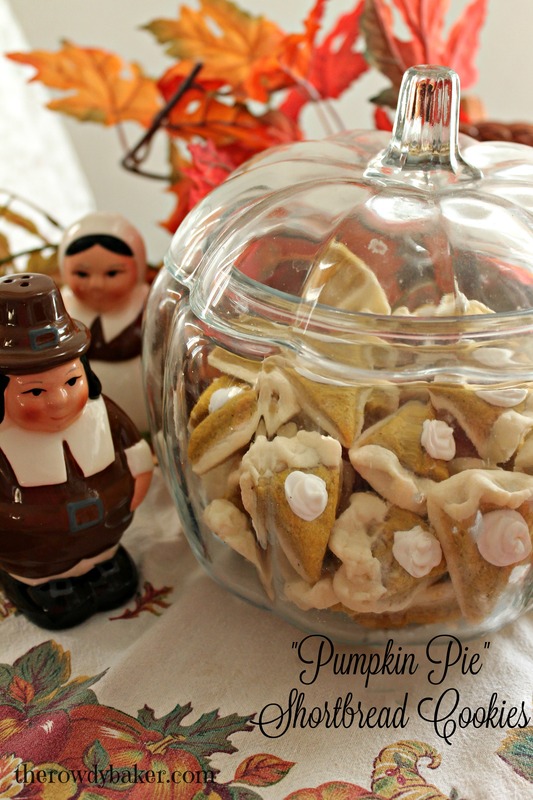 Make all three for a beautiful Thanksgiving display, and freeze any leftovers. Add 2 cups flour (reserve remaining ½ cup for the "filling"), and cornstarch, and mix until completely incorporated. Remove half of the dough and place it in a small bowl. To the dough in the large bowl, add pumpkin, brown sugar, ½ cup flour, and spices Mix well. Separate the pumpkin dough into 6 portions and roll them into balls, then flatten until they're approximately 3" circles. Working with one piece of each color at a time (keep the rest covered so it won’t dry out) center the pumpkin circle over the white circle. There should be at least ½-inch of white dough showing around the pumpkin. Slowly bring the white dough up the sides. A knife or spatula works very well for this. Don’t worry if it cracks around the bottom edge. This isn’t pie crust! 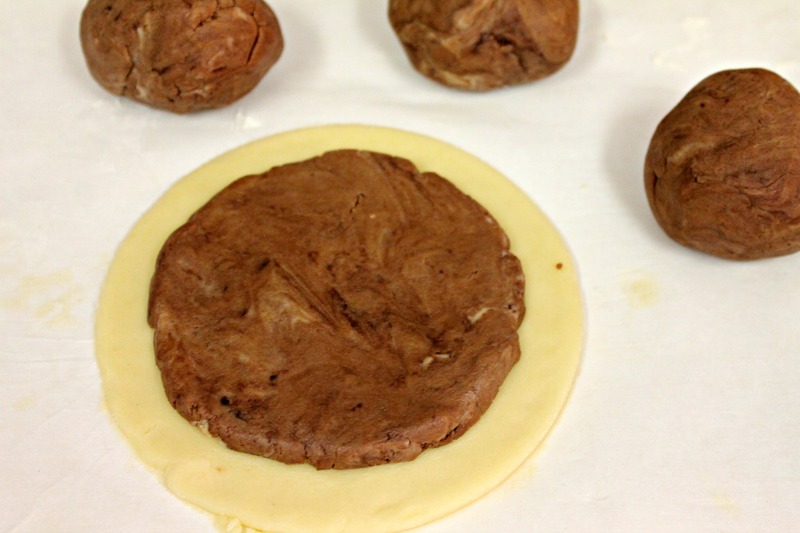 Use your fingers to press and mold the dough (think Play Doh) until it’s fairly straight and even all the way around the top, Press firmly down on the "filling" while you bring the dough around it. The white dough should stick up a little higher than the pumpkin dough. Place baking sheet in the freezer for 15 minutes, or refrigerate for 30 minutes. When all cookies are cool, add a dollop of melted white chocolate to the top. 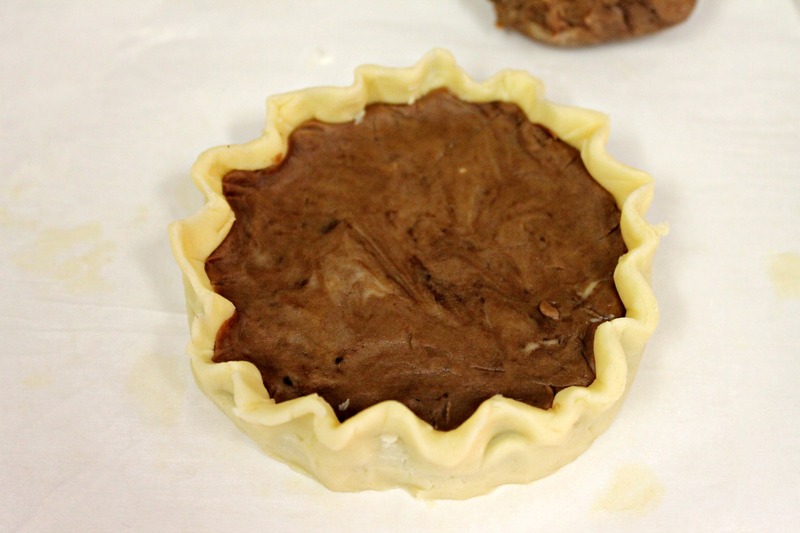 It will look dry and crumbly, and you may think it will never come together – but eventually it looks just like this! Roll and cut vanilla dough, OR separate into 6 balls and roll each individually. And that, I believe, is my last pumpkin recipe for the year. 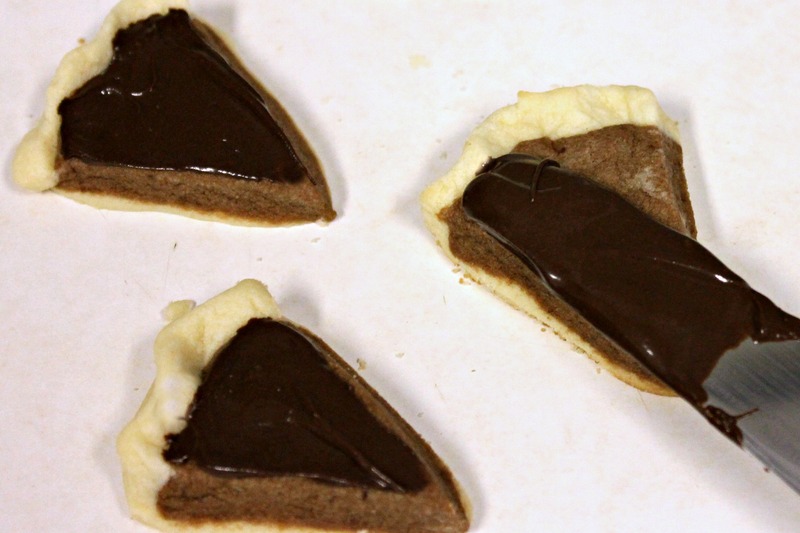 These sweet little cookies look just like miniature pieces of chocolate cream pie! 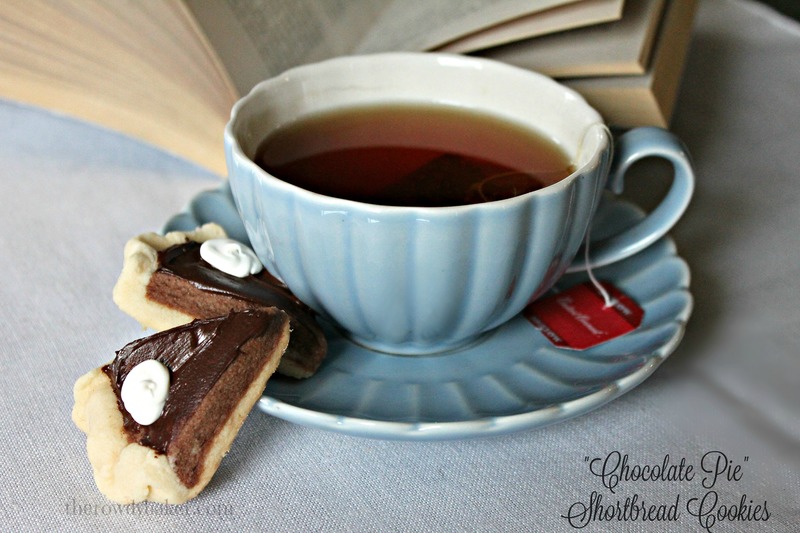 I made Chocolate Pie Shortbread Cookies last year for Tampa Cake Girl’s Cookie Exchange, which was a super fun idea, with lots of great recipes.The original batch made 96 cookies, and I have to admit I got a little tired of making them. So…I halved the batch for this post. Feel free to double it up again if you have more perseverance than I.
They’re petite…perfect two-biters. Dainty enough for a ladies’ luncheon, but my hubby was happy to eat them by the handful – and yes, they are just one-biters as far as he’s concerned. It’s a good thing this recipe makes 4 dozen pieces! This is very heavy dough, so if you have a stand mixer, I recommend you use it. You may need to use the dough hook when the flour is added. Make 48 petite cookies. If you have time, double the recipe; they'll go fast! Add flour and cornstarch, and mix until completely incorporated. 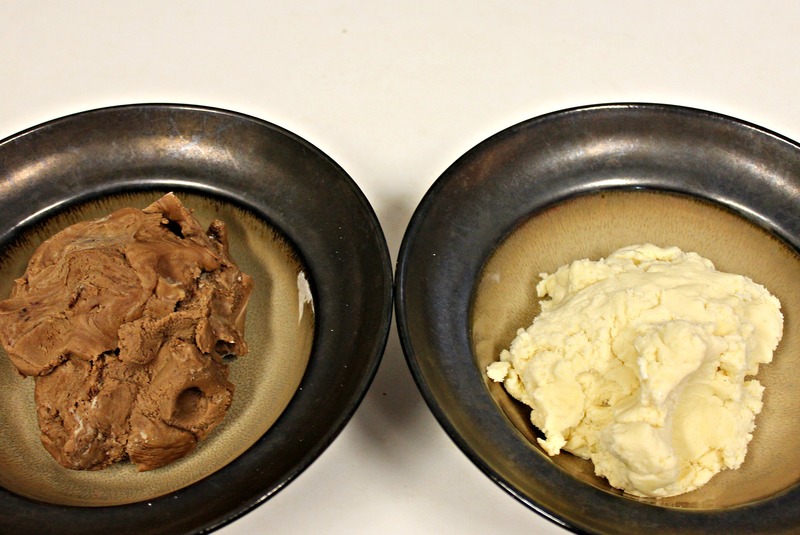 To the dough in the large bowl, add 1 teaspoon cream and the cocoa powder. Mix well. Cover the large bowl with plastic wrap and set aside. Separate the chocolate dough into 6 portions and roll them into balls, then flatten until they're approximately 3" circles. Working with one piece of each color at a time (keep the rest covered so it won’t dry out) center the chocolate circle over the vanilla circle. There should be at least ½ vanilla dough showing around the chocolate. Slowly bring the vanilla dough up the sides. A knife or spatula works very well for this. 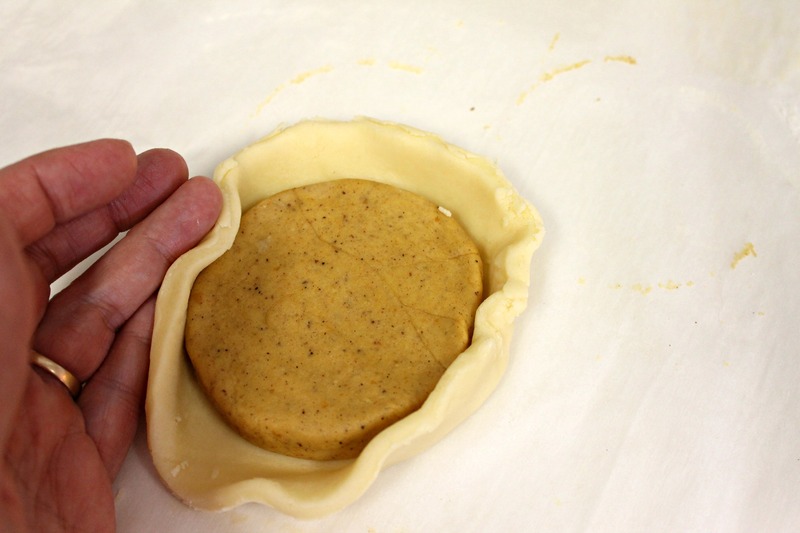 Don’t worry if it cracks around the bottom edge; this isn’t pie crust! Use your fingers to press and mold the dough (think Play Doh) until it’s fairly straight and even all the way around the top, Use your fingers to press firmly down on the "filling" while you bring the dough around it. The vanilla dough should stick up a little higher than the chocolate dough. 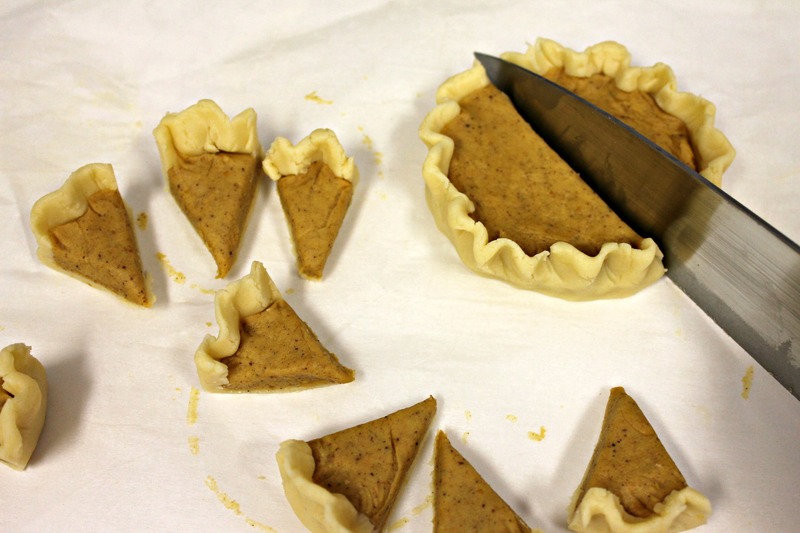 With a sharp knife, cut pie into 8 small wedges. Move to an ungreased cookie sheet, spaced at least ½-inch apart. Repeat until the baking sheet is full. The cookies can be quite close together; they don’t spread. Place baking sheet in the freezer for 15 minutes, or refrigerate for 30 minutes. When all cookies are cool, frost the tops with melted chocolate if desired. Refrigerate briefly to set the chocolate. Add a dollop of white chocolate to the top. Roll out “crust”. You could also opt to divvy the dough into 6 balls and roll out each piece. Flatten chocolate ball and place in the center. Press the sides firmly against the chocolate. Place on baking sheet, chill briefly, and bake. A bit of white chocolate and they’re ready to go! Just for fun, I tried this idea with other pie flavors. I tried to put them all into one blog, but the recipes differed just enough to make that impossible. 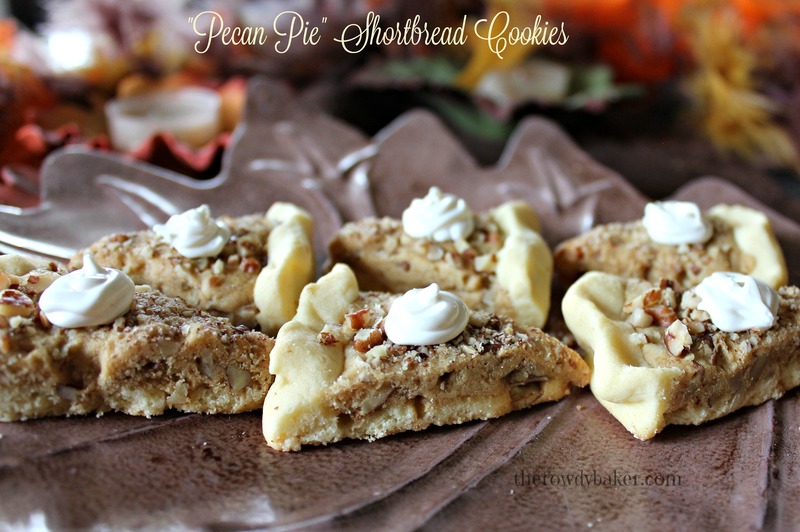 So…here’s the link for “Pecan Pie” Shortbread cookies. and “Pumpkin Pie” Shortbread cookies. I may be going a little crazy here, but there may be key lime, lemon meringue, cherry, berry, and peanut butter pie cookies in the future; I’m having too much fun to quit!